For professional Hollywood Plumbing, look no further than John’s Plumbing. We are a licensed, bonded and insured company that has been in business since 1984. 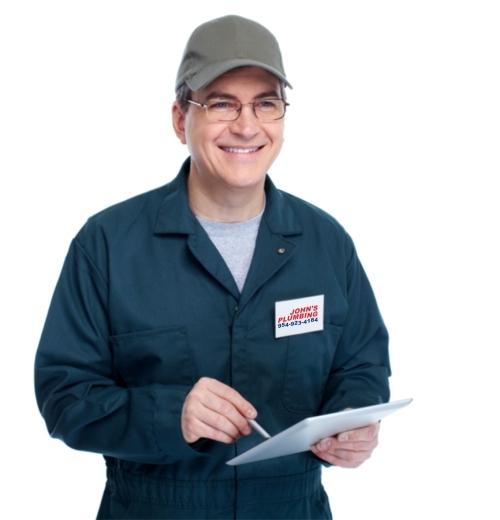 Our team of certified and licensed technicians have the experience and the talent to handle any and all your plumbing needs. No job is done until you are completely satisfied with our work so do not hesitate to tell us what you think. Contact us, today, and receive a free estimate on any of our repair or remodeling services.Our affordable rates will impress you and our work will blow you away, guaranteed. Hollywood Plumbing - Johns Plumbing - Our Plumbers Are Ready To Help You! Our Hollywood Plumbing services include water leak repairs for toilets, sinks, and any other part of your bathroom, as well as water heater repair services. In addition, we also do home remodeling for your bathroom and kitchen. Our trained experts work with only the highest quality materials to ensure that your receive the exceptional services that you are entitled to. With us on the job you won’t have to worry about unwanted leaks or outdated bathroom appliances causing you trouble. 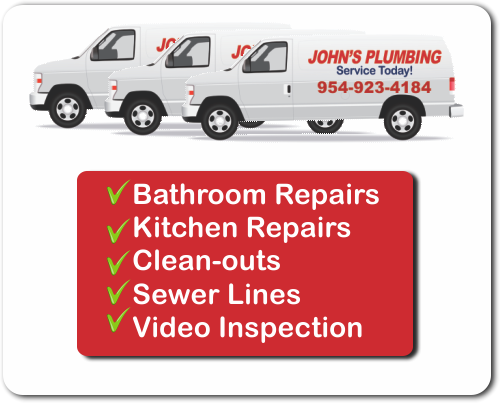 John’s Plumbing is here to resolve all of your plumbing issues in no time at all. 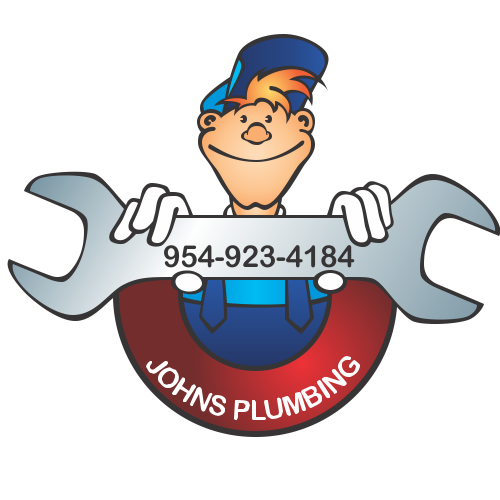 John’s Plumbing is one of the few plumbing services in South Florida that is available 24/7, 365 days a week. Rain or shine and even during the Holiday’s, or in the middle of the night, we will be available to help you with any plumbing problems you may have. We know that the unexpected can occur at any moment, so we want to be prepared to serve you under all circumstances. If a pipe bursts in the middle of the night, or you experience serious leakage, we will be there to help as soon as we can. Our 24/7 emergency services will allow us to be there when you need us most, so trust us the next time you need professional plumbing.